Let’s take a school with a teenage population that is troubled by poor examination performance, high levels of truancy and high incidents of bullying. Which would be reasonable options to improve students’ emotion regulation and social functioning? The goals of an educational psychologist addressing such a scenario include the implementation of programs aiming to improve the emotion regulation and social functioning of students and to prevent future development of mental disorders. Adolescence is characterized by a limited emotion-regulation strategy repertoire, entailing negative emotionality, unstable peer- and romantic relationships and increased conflicts with parents, typically leading to heightened sadness, anger, and rumination (Zimmermann & Iwanski, 2014, p. 181-182). Dischordance between experience, arousal and expression leads to a polarized internalization and externalization of problems (Lanteigne, Flynn, Eastabrook, & Hollenstein, 2014, p.30). 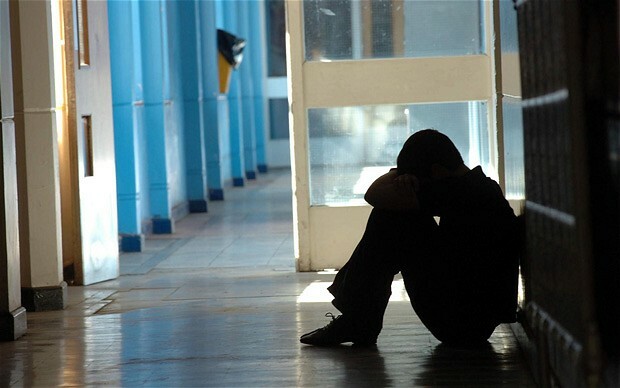 The accumulations of stressful life events such as abuse, parental divorce, experience of violence or unstable residency, which are more typical for adolescents from lower SES background, are strong predictors for socio-emotional maladjustment (Appleyard, Egeland & van Dulmen, 2005). Promoting coping strategies such as, e.g., cognitive-emotional reappraisal is thus helpful for this volatile population as an antecedent focused strategy (Flouri & Mavroveli, 2013, p.364). This is complemented by strategies developing emotional engagement, entailing awareness, acceptance and perception of the manageability of emotions (Lougheed & Hollenstein, 2012, p.706). Evidence-based initiatives are offered by a number of recognized program agencies endorsed by the APA and Society of School Psychology (Macklem, 2011, p.22-23). Usually such initiatives are designed as three tier interventions, which are integrated into the regular curriculum. Tier 1 involves all students and offers social and emotional learning (SEL) programs, inclusive of teacher- and parent-training (CASEL, 2014). Tier 2 is designed for selected students who show some risk factors, such as displaying defiance, opposition, impulsivity or aggression. Tier 2 interventions focus on anger management, social-problem solving, developing friendships, following school rules and they are delivered in group format (Macklem, p.26). Tier 3 interventions address students with symptoms related to mental disorders and include e.g., identifying situational cues that trigger negative emotions or changing negative rumination to coping and constructive self-talk (Albano & Kandall, 2002). Interventions for chronic truancy should be woven into tiers 2 or 3, since individual- and group level interventions appear to be most effective. Besides, such interventions involve external parties such as social- and community workers or law enforcement officers that do not concern all students (Ford & Flaherty, 2010, p.196). Despite absence of evidence-based studies (Maynard, Mccrea, Pigott & Kelly, 2013), initial absenteeism should be addressed on tier 1 for emotionally-based truancy and truancy due to school-climate addressing all students (Derochers, 2013). Bullying and cyber-bullying can be addressed at tier1 to create a secure and non-discriminative social climate for all students (Shariff, 2009, p.128) and on tiers 2 and 3 to remediate bullies and to empower victims, backed by anti-bullying school policies and committees (Lund, Blake, Ewing & Banks, 2012). A three-tier system has the advantage that it encompasses the entire student population while offering individual-specific levels of care. Formative intervention assessment is conducted via self-reports for measuring symptom reduction and use of strategies, efficacy of on-task behaviors, academic performance, classroom participation, incidents of angry outbursts, improved memory and increased social interaction of students with depressed mood and reduction of disruptive behavior. For measuring intervention efficacy, data is collected from students, parents and teachers pre-, inter- and near end of programs (Macklem, p.57). Less experienced teachers tend to contextualize programs to a point where evidence-based data collection is compromised. Tier 1 programs need to be culturally appropriate and relevant to students’ life-situation to motivate them to attend. For tier 2, inaccurate screening by untrained staff can confuse ordinary students with those who are at risk (Macklem, p.40-43). Parents involvement can be stimulated by communicating schools as places of security and respect (Goldkind & Farmer, 2013), by improving parent-school communication or changing parents’ mindset about fixed versus malleable abilities of their children (Hornby & Lafaele, 2011). Culture-specific emotion regulation strategies can lead to increased anxiety and acculturation-stress for immigrant adolescents, leading to excessive worrying and concentration difficulties (Macklem, p.96). Tahmouresi and colleagues note that ‘development of emotion regulation in non-Western countries is related to empathy, interpersonal adjustment and norm assimilation. In western cultures, however, development of emotion regulation is associated with self-expression and autonomy’ (Tahmouresi, Bender, Schmitz, Baleshzar & Tuschen-Caffier, 2014, p.57). In Iranian culture it is e.g., more difficult for children to express themselves as they are expected to show respect for social orders and norms. Cultural emotion regulation schemata differ in attributing expectations behind success and failure and bifurcate up-or down-regulating of related affect (Tsai, & Lau, 2013, p.417; Miyamoto & Ma, 2011), a sensitivity which needs to be considered when dealing with immigrant adolescents or teaching in foreign cultures. SAMSA: National Registry of Evidence-based Programs and Practices. CASEL: Collaborative for Academic, Social and Emotional Learning (SEL programs). Disciplined, and Drug-Free Schools Programs 2001 (USDOE) (US). OJJDP: Office of Juvenile Justice and Delinquency Prevention, US Department of Justice. Albano, A. M., & Kendall, P. C. (2002). Cognitive behavioral therapy for children and adolescents with anxiety disorders: Clinical research advances. International Review of Psychiatry,14(2), 129–134. Appleyard, K., Egeland, B., & van Dulmen, M. H. M. (2005). When more is not better: The role of cumulative risk in child behavior outcomes. Journal of Child Psychology and Psychiatry, 46, 235–245. Desrochers, J. E. (2013). Evidence-Based Practices in School Refusal and Truancy – An Interview with the Author. Communique (0164775X), 42(4), 15-16. Flouri, E., & Mavroveli, S. (2013). Adverse Life Events and Emotional and Behavioural Problems in Adolescence: The Role of Coping and Emotion Regulation. Stress & Health: Journal Of The International Society For The Investigation Of Stress, 29(5), 360-368. Goldkind, L., & Farmer, G. (2013). The Enduring Influence of School Size and School Climate on Parents’ Engagement in the School Community. School Community Journal, 23(1), 223-244. Lund, E. M., Blake, J. J., Ewing, H. K., & Banks, C. S. (2012). School Counselors’ and School Psychologists’ Bullying Prevention and Intervention Strategies: A Look into Real-World Practices. Journal Of School Violence, 11(3), 246-265. Macklem, G. L. (2011). Evidence-based school mental health services [electronic book] : affect education, emotion regulation training, and cognitive behavioral therapy / Gayle L. Macklem. New York : Springer, c2011. Shariff, S. (2009). Confronting cyber-bullying [electronic book] : what schools need to know to control misconduct and avoid legal consequences / Shaheen Shariff. Cambridge : Cambridge University Press, 2009. Tahmouresi, N., Bender, C., Schmitz, J., Baleshzar, A., & Tuschen-Caffier, B. (2014). Similarities and Differences in Emotion Regulation and Psychopathology in Iranian and German School-children: A Cross-cultural Study. International Journal Of Preventive Medicine, 5(1), 52-60. Zimmermann, P., & Iwanski, A. (2014). Emotion regulation from early adolescence to emerging adulthood and middle adulthood Age differences, gender differences, and emotion-specific developmental variations. International Journal Of Behavioral Development, 38(2), 182-194.